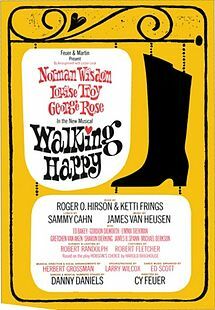 “What Makes It Happen” was written in 1966 for the Broadway musical Walking Happy. Van Heusen and Cahn were nominated for the Tony award for Best Composer and Lyricist, but lost to Cabaret. What starts the thunder you hear in your heart? Keeps you on Earth while you’re somewhere apart? When will it happen to me? Oh, when will it happen to me? “What Makes It Happen” was recorded on November 26, 1966 and released the next year on the album Tony Makes It Happen! It was arranged by Marion Evans.